The village is part of the Myrtle Beach metropolitan area.The village is revered for its picturesque nature and is a popular location for vacationing. 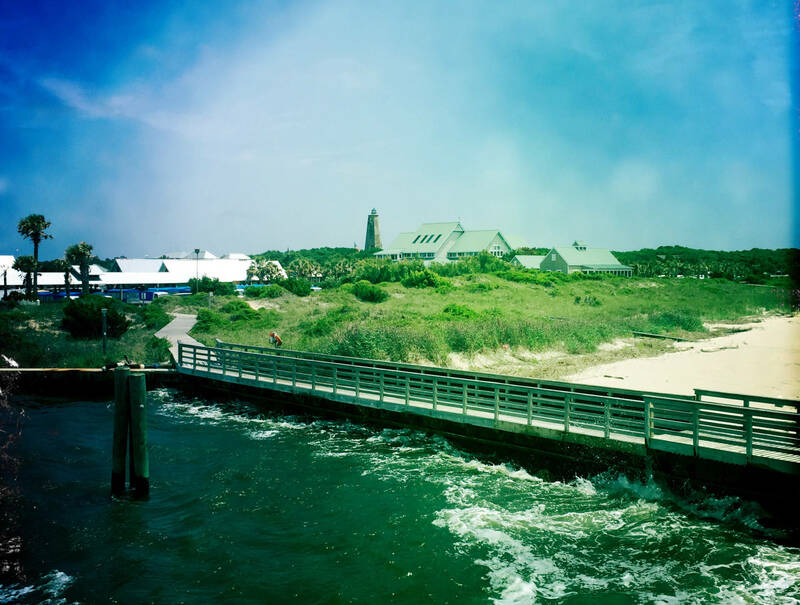 From strict Village regulations to strict property owners restrictions from the property owners association, Bald Head Association, Bald Head Island is nationally recognized as a barrier island where people live in harmony with nature. The Bald Head Island Conservancy actively monitors water quality, the dunes, maritime forest and salt marsh. The Island has four distinct habitats: beach and dunes; maritime forest; freshwater lagoons; and salt marsh/estuary. Live oak, cabbage palmetto, and longleaf pine are the most common trees found in the maritime forests and marsh hammocks.Bald Head Island is nationally recognized for its sea turtle nesting activity. The abundance of sea turtle nests have led visitors to use the phrase, „I’m on Turtle Time“, which signifies the care free (and car free) feeling of being on Bald Head Island.